The month of November was a busy one at Port Jefferson Middle School as student council members gathered and organized canned goods, nonperishable food items and monetary donations for Long Island Cares, an organization that provides humanitarian needs in local communities. The entire school population took part in the collection efforts, amassing 1,460 items to donate and approximately $50 in cash. Dr. Tara Sladek-Maharg’s social studies class accumulated the most goods with a total of 358 items and were honored with a pizza party for their efforts. 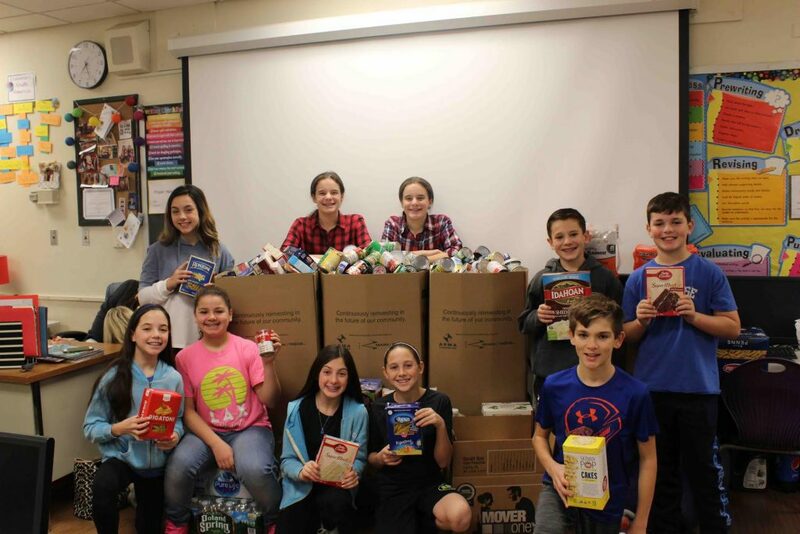 Photo caption: 1: Port Jefferson Middle School Student Council members proudly displayed the food items that were collected for Long Island Cares.